You are here: Home / Android / Samsung Galaxy Note 7 Recall: Complete story and the aftermath; Apple in luck? Samsung Galaxy Note 7 Recall: Complete story and the aftermath; Apple in luck? Samsung has received substantial consumer backlash over the Galaxy Note 7 tragedy. The device is reportedly plagued with a battery issue, which resulted in explosion while charging. The company shipped around 2.5 million units of the Galaxy Note 7 since its launch. Following the deadly battery issue, Samsung is set to suffer a massive setback of around $1 billion to tackle all recalls of the defective product. In a recent press conference, Samsung’s head of smartphone business, Dong-jin Koh, commented on the cost associated with the recall. He called it a “heartbreaking amount.” It is going to cast a lasting financial impact on the brand. In one of the latest reports, we have come to know that a leading US-based consumer advocacy group is urging Samsung to announce an official recall for the device. Until now, Samsung was performing ‘voluntary’ recall of the product. Under the recall, Samsung is offering full refunds to those users who no longer wish to use the device. The voluntary recall was saving the product from total ban across markets. The group is urging Samsung because many sellers are still selling the device via special discounts. Even after recognizing the issue with the product, Samsung did not request for an official recall in the US. If Samsung files the official recall with the U.S. Consumer Product Safety Commission, the sale of the device would be declared “illegal” due its fatal repercussions. Even the resale of the product would come under fire. Federal Consumer Product Safety Commission law explains the recalls of a product that – “contains a defect which could create a substantial product hazard” and “creates an unreasonable risk of serious injury or death.” Until now, Samsung has not responded to the request of the group, and it is also keeping mum on providing the affected serial numbers of the defective good. The issue with the Note 7 is not small at all. Till the reports came out, 35 incidents were listed about the battery explosion. It is a pretty significant number considering the recent launch of the device. 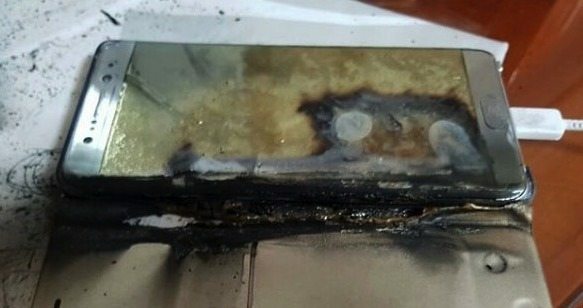 Images of burned Galaxy Note 7 surfaced on the internet. Taking a look at some of the pictures, we couldn’t help but believe that the issue can cause serious injuries to the users. Why Galaxy Note 7’s battery turned out to be defective? 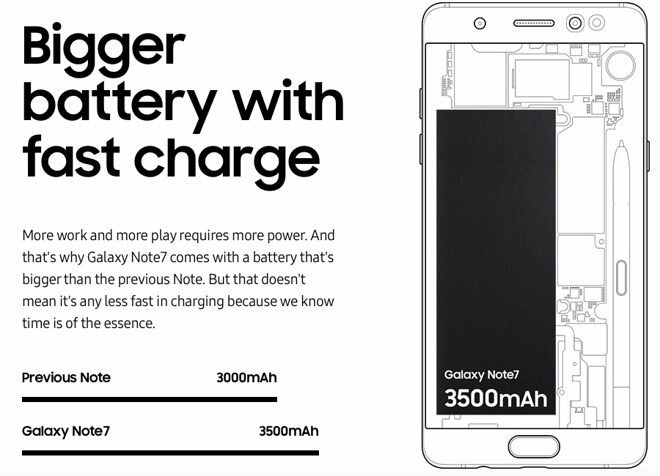 The primary issue is Samsung’s aggressive and quick charging forces for the Note 7’s huge capacity battery. The charging was relying upon a high voltage charging to deliver greater extended energy. A regular USB 2 charger (like the ones used in iPhone and iPad) run at 5 Volts and take up to 5-10 watts. On the contrary, the Galaxy Note 7 comes with a USB Type C adapter, which works at up to 12 volts and can take up to 25.2 watts. With such an issue in Samsung’s highly-praised flagship, Apple could make the most of it. The new iPhone 7 is debuting on September 7; we wonder how many buyers would now go for the iPhone 7 instead of the Note 7.